With the Made in Germany giveaway only being a few short weeks away, I’m actually getting a little bit giddy. This is by far the most impressive prize package I’ve ever given away via NOH (combined retail value of over $1000) and I hope you don’t forget to take advantage of the chance to score some early entries! Today I want to reintroduce you to the final sponsor of this event: kiddy! I saw reintroduce, because if you’ve read NOH for a while, you know that we had a car accident last June which could have ended very, very badly. Maybe you’ve even read my review of the kiddy Comfort Pro car seat that I fully believe saved our daughter’s life in that accident. She walked out of our smashed up SUV without a single bump or bruise, even though she was on the side of the impact. But in case you have not heard of them before, kiddy offers a range of car seats for infants up to 12 years olds. With only two car seats, you can keep your children riding comfortably and safely until they are teens. So if the price tag on a kiddy Guardian Pro or Comfort Pro holds you back, just consider this: It is the only child’s car seat offering this wide range of age adjustments that performs well in crash tests. And the price is still comparable to other quality seats on the market that do not offer the same safety as a kiddy seat. kiddy is constantly working to improve their car seats and it takes 1-3 years to bring a car seat to the market…not to mention all the months and years of tweaking, updating and further fine tuning after that. The company has developed several innovative features for their car seats that reduce the stress of collisions on little bodies and transfer the energy away from your child. For the first time a children’s car seat has taken proven ‘crumple zone’ technology from the car industry to make an even safer car seat for older children. 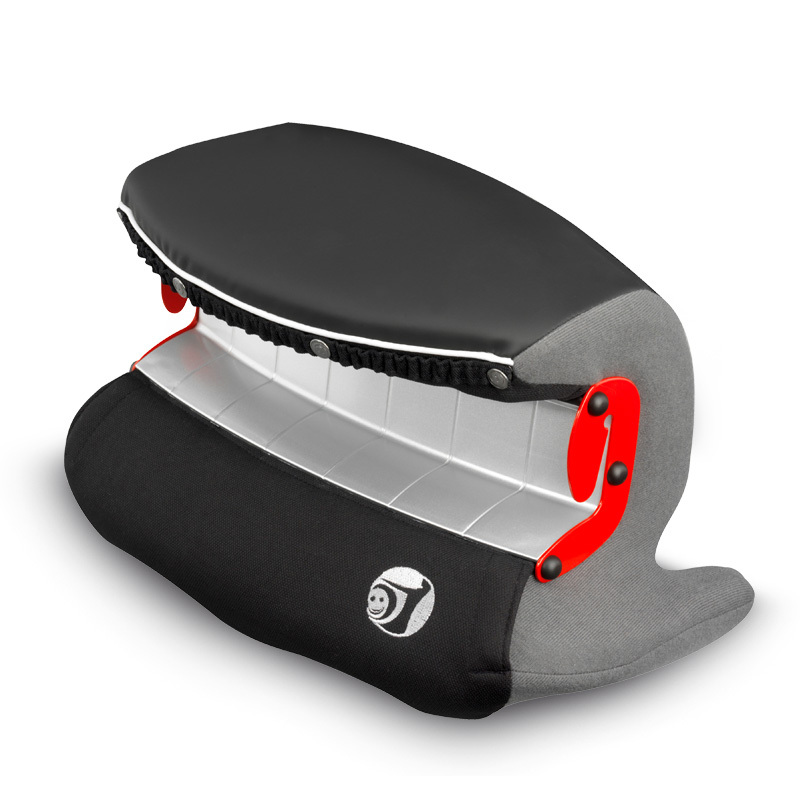 The KSA – kiddy shock absorber sits on either side of the seat shell and is red in color. 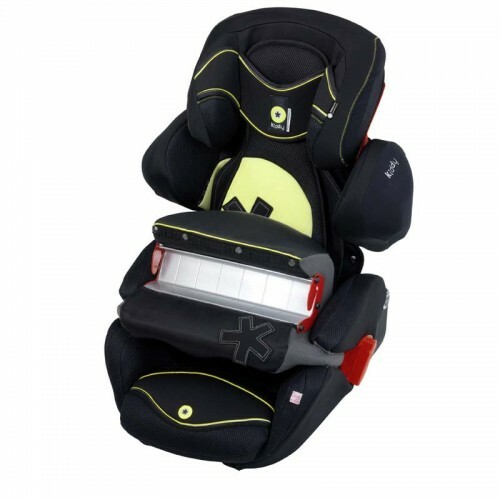 For children over 18kg, it rests against the adult seatbelt when fitted. 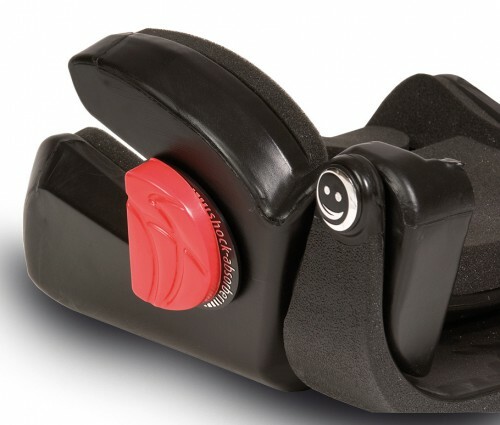 In a collision, the force of impact which makes the seatbelt go taut, is transferred into the KSA and literally buckles the special crumple zone materials inside. No other car seat manufacturer offers this fantastic new feature which is patented by kiddy. The original kiddy impact shield has been proven over and over in the highest European tests to be safer than a 5-point harness system even with isofix seats in front collisions as shown by the performance of the kiddy infinity pro and now the kiddy energy pro too. The kiddy guardian pro incorporates the latest version of this system which reduces the risk of serious neck injuries by allowing the force of impact to be dispersed through a wider contact point across the tummy and away from the child. But kiddy is not just car seats anymore. Since 2007, they have been selling travel systems (strollers/buggies) as well and have certainly put a great foot forward with strollers that are chic and well-performing — and totally integrated to accommodate kiddy infant carriers if need be. 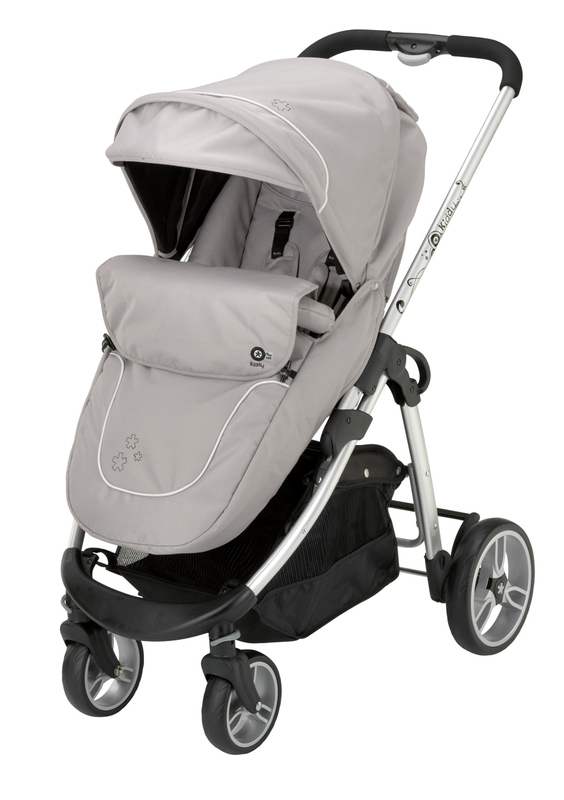 The newest in the line, the click n move 2, is a fantastic city stroller that is just the right height for taller individuals, comes with great roomy storage container underneath and even a matching foot sack to keep your kiddo warm in the cold. I am also totally smitten by the very cool accessories that kiddy offers for their car seats and travel systems. They’ve thought of everything from extra cooling/heating systems (kiddy clima) for your car seat to rain covers for stroller. 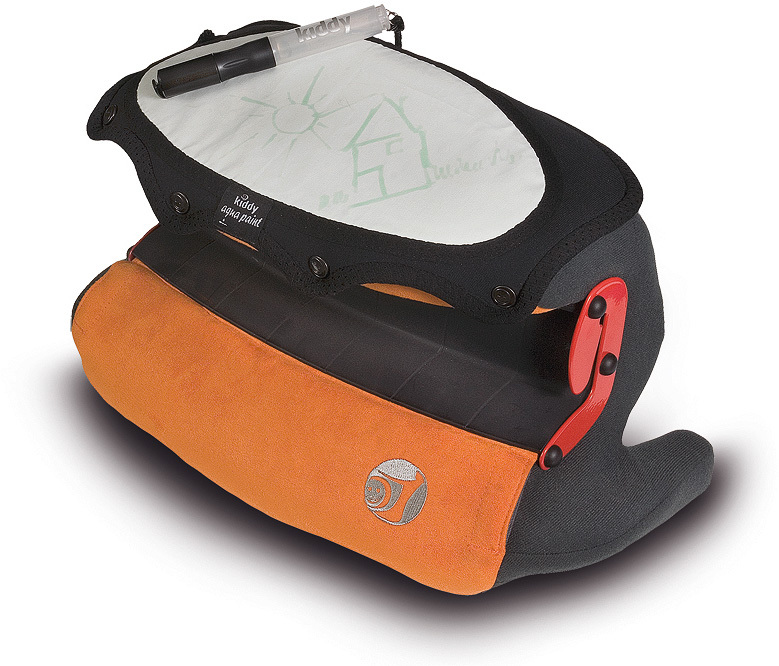 But the one that I just find super ingenious is the kiddy aquapaint which allows your kids to draw on their car seat without making a mess! kiddy is a family-run company based in Hof, Bavaria, and the moment you walk in the doors of their offices, you feel like you are part of the clan. Despite being a significantly large international company, they have still managed to maintain a professional yet casual atmosphere in all that they do. The company has over 40 years experience in successfully working in the automotive industry and has specialized in the field of “mobility with children”: kiddy strollers, kiddy child seats and kiddy accessories are convincing customers worldwide by German innovative engineering and design work. kiddy is already the number 3 in Germany in the baby industry and sees itself as “specialist for safe mobility with the child”. In the medium term, the brand “kiddy” should become a synonym for “safe mobility with the child”. kiddy is currently represented in nearly 40 countries worldwide and is continuing its success. Following the kiddy slogan “We love our kids”, kiddy’s intention is starting to promote the awareness for child safety seats also in newly industrialised countries. During the Made in Germany giveaway here on NOH, those of you living in Europe will be able to win one of TWO top of the line, brand new kiddy Guardian Pro car seats. Visit this page now to get your extra entries just for visiting kiddy online!